Have you noticed when people get their teeth whitened, they always tend to have a proud and confident smile on their face? It’s just amazing to see how much confidence white teeth give to people. It’s true that teeth whitening procedures have made it really easy for people to restore the pearly whiteness of their teeth, but these cosmetic dental procedures require visiting a dentist, which you may not have time for on a regular basis. That’s why we want you to restore the shine and whiteness of your teeth naturally, at home for the times you can’t make it in to see your dentist. This is what we will be discussing in this article. 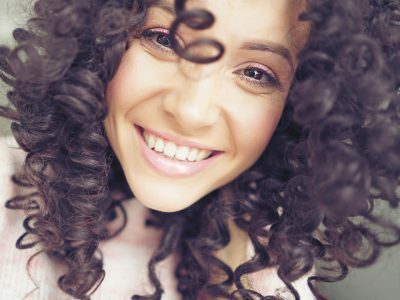 Here are 6 incredibly easy ways that can maintain the natural whiteness of your teeth. We know that including vegetables and fruits in your daily diet is good for your overall health, but we often forget that it’s also good for our teeth. Try eating carrots, apples, and nuts to help remove surface stains and plaque that causes cavities. Getting up in the morning and brushing your teeth, and then brushing them again before going to bed is a common routine most of us follow. From now on, don’t forget to brush your tongue at the same time. Brushing your tongue keeps your breath fresh and prevents your teeth from getting stained because the bacteria that accumulate on your tongue gets cleaned out. Changing your toothbrush after every three months is very good for your teeth. The day you notice that the bristles of your toothbrush look worn out, you should know it’s time to change the brush. Continuing to brush your teeth with the same toothbrush for a long time is not healthy at all. Chances are the brush is not even cleaning your teeth properly. Yes, citrus fruits are extremely healthy as they’re full of vitamin C, but they’re not so good for your teeth. The acid in lemons, oranges, and limes is perfectly capable of eroding the enamel of your teeth. Once your teeth lose their enamel, it’s easy for them to get stained. That shouldn’t stop you from eating citrus fruits. Just don’t forget to rinse your mouth with water after eating a couple of oranges and grapefruits. If you want to put in some extra effort to whiten your teeth, then grab a bottle of cider vinegar and a glass. Make a solution by mixing two-thirds water and one-third vinegar and rinse your teeth with it. You need to avoid some foods and drinks that you like a lot, if you want your teeth to stay white naturally. That means no more mustard, blueberries, soy sauce, coffee, and red wine. Also, consider boosting your energy with nuts and green tea instead of energy drinks. The amount of acid in them is strong enough to damage the enamel of your teeth, just like soft drinks. These were some pretty easy tips for keeping your teeth sparkling white. Don’t forget to ask your dentist about the best option for your smile. Give us a call Paul Mansky Dental- we can be reached at (248) 689-5508. We look forward to hearing from you!